What woman doesn’t like a little glitter and bling?!? I know I do, and love to find ways to reuse & repurpose bits and pieces of vintage jewelry that are a little tattered and maybe missing a stone or two. 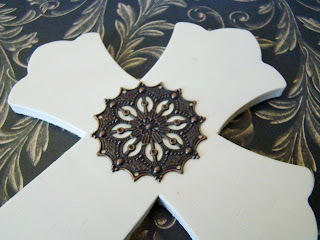 This cross tutorial is so easy, using relatively common items turned out to be an elegant addition to my office. First thing is to pain the cross and brass filigree white. Once the cross is dry adorn with glitter, then attach the brass filigree. Let those dry. Now you can adorn with the vintage jewelry piece of your choice, I used a vintage AB Rhinestone Earring. 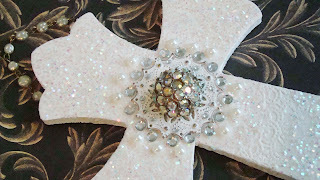 Now you can adorn your little cross with little scrapbook jewel embellishments, I used clear and pearl. 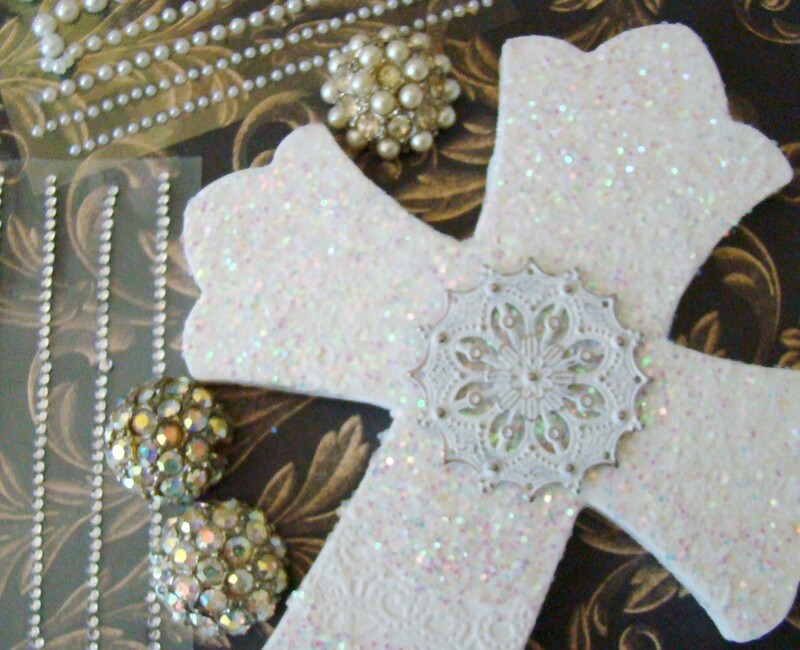 To hang the cross I used a bit of vintage pearl rosary chain that I used to carry in my shop. 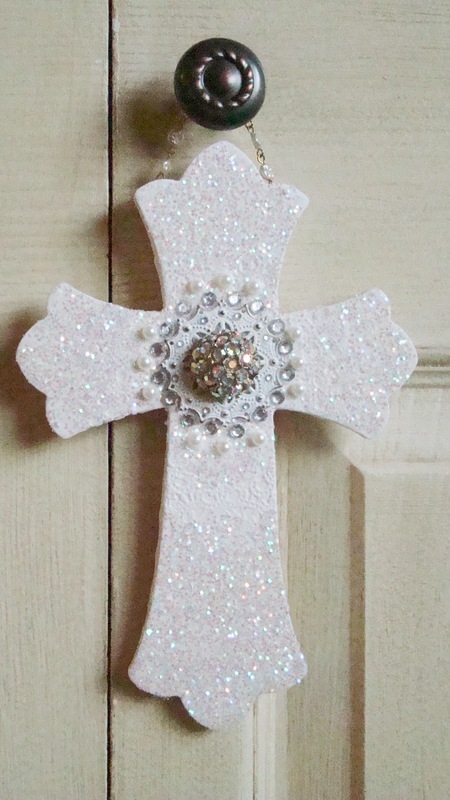 Ooooh pretty, sparkly and meaningful all at the same time. Love it! Hi Jane - thanks so much for stopping by! 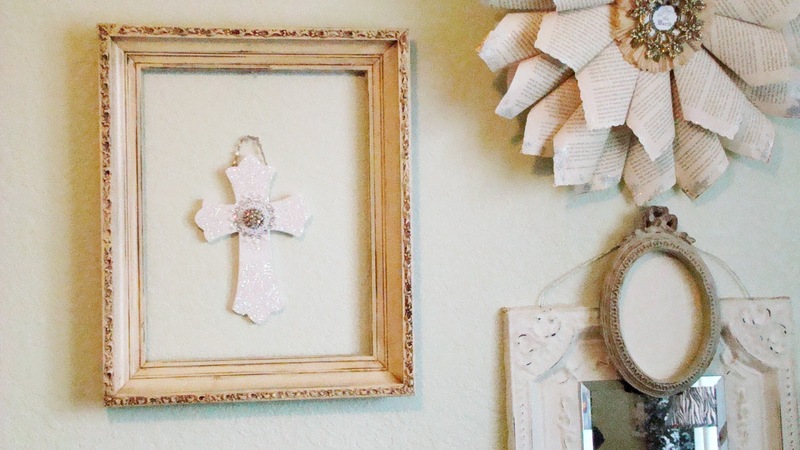 Beautiful; perfect with the pretty frame!